"The staff was very sweet and professional. The office and exam rooms were very clean." "Professional and caring. They took the time to calm my nerves and were really thorough." "I've been coming here for years now! Great place and great staff." "Excellent care. Office staff is friendly and professional." "First time coming to this place with my kids and what a great experience." "The dentists are professional, caring, and meticulous." "They know what they're doing and make it easy for the patient." Aesthetic Dental Centers provide comprehensive dental services to New Jersey and New York residents. With convenient locations in Dover, Hackensack, and Ridgefield Park, New Jersey, and Pearl River, New York, it offers 15 highly skilled and trained doctors — available for every dental need from checkups to oral surgery — who you can trust to provide the highest quality dental care. The experts at Aesthetic Dental Centers have experience in general, cosmetic, and pediatric dentistry, as well as oral surgery. The team wants you feeling comfortable and satisfied during and after your visit. They help you create and maintain a beautiful smile. At Aesthetic Dental Centers, the staff strives for high standards, education and prevention, uncompromising safety, training, expertise, and most importantly, a positive experience. 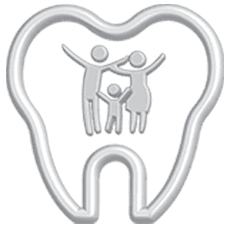 The staff provides the highest quality care for all their patients by focusing on the difference between dental health and disease care. By building trust with each patient, the Aesthetic Dental Centers team of multi-specialty professionals offers you individualized and personalized treatment for correcting and creating your perfect smile, with a team of both general dentists and specialists at each location. Give the Aesthetic Dental Centers a call or book your appointment online and they will give you a reason to smile. Please call our office with any questions, we are happy to help. "The staff was extremely nice and courteous. I have gone here 4 times and every time they make my visit as pleasant and least painful as possible." "I've been going for few years now. I always have great service. My entire family has been getting dental works and treatments here and couldn't ask for better service." "They make you feel very comfortable while they map out and explain the best course of action for you. There is no pressure at all." "I had a dental emergency and found Aesthetic Dental Centers. I was seen within 10 minutes and was treated quickly. My dentist was knowledgeable and kind." "The staff at Aesthetic Dental Center is great...provide very professional service. They even came in earlier in the morning just to accommodate my schedule!" "I came here for my deep cleaning and checkup as a first time patient. The dentist and hygienist were both welcoming, efficient, informative, and best of all, gentle!" "My kids are not afraid and are very comfortable which reflects the treatment they receive."